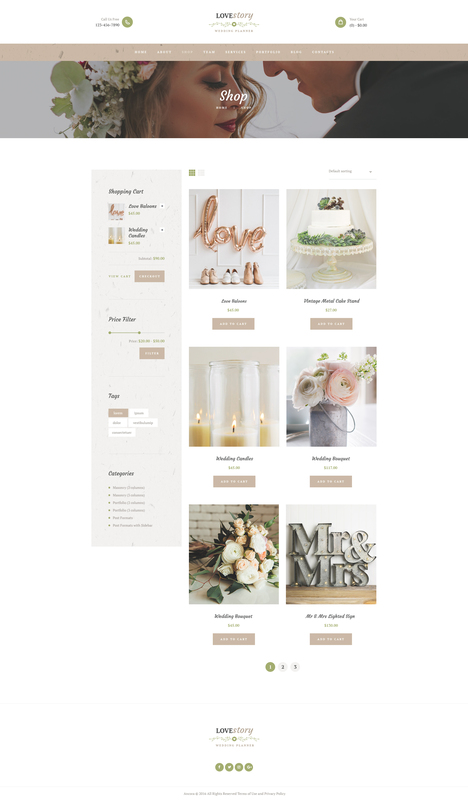 The theme is compatible with WooCommerce plugin. It is made compatible with WPBakery (aka Visual Composer). 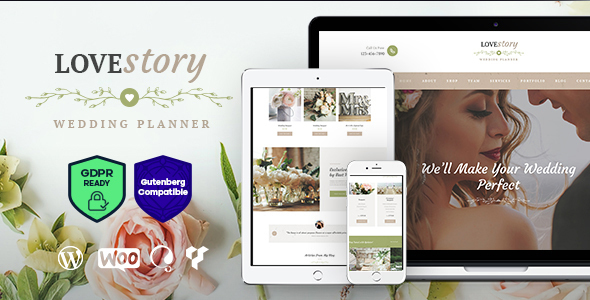 Also Love Story is compatible with such plugins: Revolution Slider, Essential Grid, to make it easy for you to set up a wedding planner website. - Importer is moved to ThemeREX Utils plugin.